If you’re surveying your home to see what rooms you need to clean up and stage before putting your house on the market, don’t forget those “unseen” areas: the basement, garage and backyard. 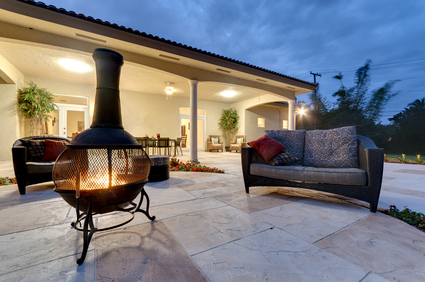 The latest Home Buyer Preferences Survey by the National Association of Home Builders’ (NAHB’s) showed that more than 80 percent of the home buyers wanted a nice front porch, backyard patio and exterior lighting. Pay attention to all areas of your home when staging so you attract all potential buyers. Since you don’t know if a prospective buyer imagines a den, office or recreation area in that basement, stage it so they can see that potential, as StagingDiva.com suggests. First remove all of the clutter, but don’t just move it to another part of the house. You may need to rent a storage locker so you have a place for all of your “stuff”. Basements can be dark and damp places, so put up some new lighting and get rid of any signs of moisture. Pull up and throw out any floor covering that is water damaged or musty. Put up some shelving to get things off of the floor. Painting the floor and walls will give the space a brighter look and a cleaner smell. If this is a finished basement that you haven’t used for a long time, make it look lived in. Add some furniture and plants. Put up new blinds on the windows. Floor and table lamps will add even more light. Make the space look inviting so the buyers can visualize themselves enjoying the space. The odds are that you either park your cars in the garage, or it’s full of stuff. Either way, you need to do some work to stage the garage. Just as a well-staged kitchen will excite some buyers, a garage that holds the potential of a work area or organized garden storage will excite others. If the garage has been a storage space, then it’s time to sort, purge, and move items to that storage locker you rented for the basement items. Put up some shelving and/or a pegboard to hold a few items. If you have a workbench in the garage, clean it off, paint it and organize some tools on and around it as an example of what a buyer could do. If you store garden tools in the garage, clean them up and organize them on shelves or the wall. Clean up any lawnmowers and other similar garden equipment. Get rid of open bags of peat moss, fertilizer, pesticides and other material that makes the garage look cluttered and adds to the smell. If you park your cars in the garage, clean up any fluid stains and tire marks from the floor. A coat of paint on the garage floor will freshen it up, but leave your cars out while your house is on the market. As with the basement and garage, the first thing to do is pick up your yard. Toys, tools, and cutesy yard ornaments should be picked up and stored. Potential buyers may not have the same taste in yard kitsch that you do, notes SF Gate Home Guides. Do some basic landscaping, fix fences and gates, and clean patios and decks. Then you can focus on the recreational areas in the yard. If you have a pool in the yard, make it more appealing with a water heater or solar cover so it can be used earlier in the year. Resources such as PoolProducts.com can give you some ideas on how to upgrade the pool area. One essential task is to either tidy up all the pool furniture or buy some new lounge chairs and tables if they look too ratty. Put up some exterior lights to highlight the seating areas in the yard. Benches and chairs under trees provide a peaceful place to relax. Patios and decks with tables and chairs help buyers visualize their summer parties outdoors.